Trachten necklace in fabric and metal. Schuhmacher does it again! 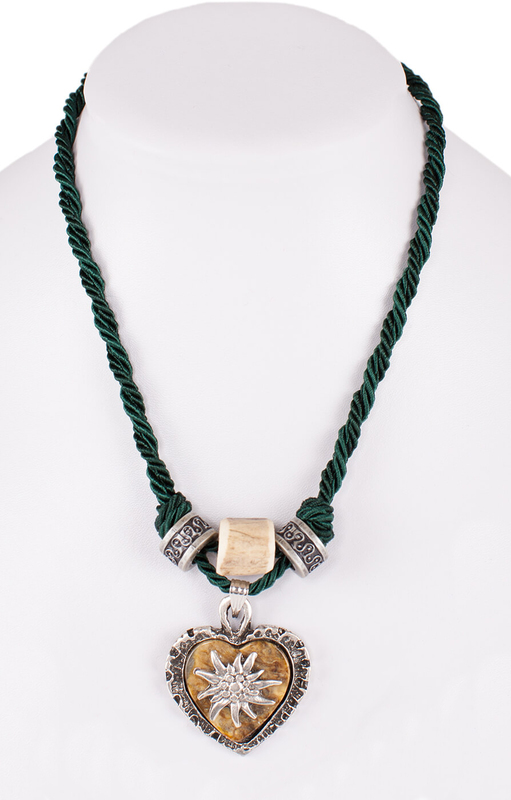 This necklace is made from a pretty, two-part textile cord, and is a perfect companion for Trachten costumes. The playful heart charm and a horn-shaped pearl are an elegant way to brighten up the bust. A delicate metal chain means that you can adjust the length of this necklace by up to 5cm. Wear it to highlight your contemporary Oktoberfest look or as the cherry on the top of an everyday wardrobe. Modern material mix meets traditional design and unites to form a sophisticated necklace in true Schuhmacher style.